Your driver-guide will pick you up at your hotel or apartment to drive you to Europe's largest palace that started as a hunting lodge built by Louis XIII in 1624. In 1682 Louis XIV decided to move his court to Versailles and therefore enlarged and transformed the small lodge into a royal residence. 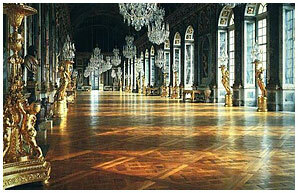 On the way to Versailles you will be told the history of this former residence of the french monarchs until the French revolution. 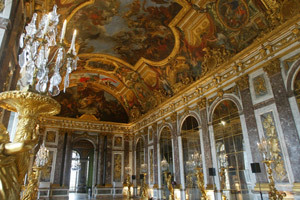 During this Versailles tour you will be able to witness what was the opulence and abundance of luxury in which the Kings of France used to live and understand why only 74 years after the death of the Sun king the french revolution happened. You will have the chance to visit the Royal chapel where the wedding of Marie Antoinette with the Duke of Berry future Louis XVI took place in May 1770, Hercules' room, the Abundance salon, the Venus salon with its incredible baroque style decoration, Diana's room dedicated to the goddess of hunt, Mercury's room state bedroom of the king, the world famous Hall of the Mirrors with its 357 mirrors which are for most of them original, the King's and Queen’s bedchamber and the all other rooms thanks an Audio-guide system that will allow you to comprehend one of the most important period of the French history. 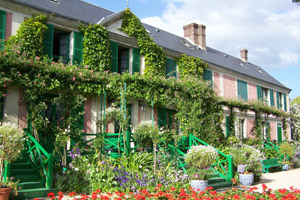 After the visit of the Palace you will have time on our own to stroll through the picturesque french formal gardens. *Hotel or apartment pick up and drop off (Zip code starting with 75)! TIP : During the high season the Palace receives a large number of visitors and the most crowed days in Versailles are Tuesdays and Sundays.